The Ebola virus is spreading closer to the forest homes the gorillas. Now, more than ever we urgently need your support to keep them safe. The deadly Ebola virus is spreading closer than ever to the forest homes the gorillas we protect depend on. Now, more than ever we urgently need your support to keep them safe. The Ebola virus is endemic in DR Congo. And it’s spreading. Ebola can be catastrophic for humans, but it can be even worse for gorillas. It’s been responsible for the death of one in every three gorillas since the 1990s. If gorillas fall ill, they don’t know how to ‘quarantine’ themselves as humans would, so the virus spreads. And if a gorilla dies, the other members of its family will often continue to groom it, so Ebola spreads even faster and deeper into the forests. There is no known vaccine for Ebola virus in gorillas. And it is almost always fatal. According to the World Health Organization, the mortality rate among humans is around one in two. In gorillas, it’s close to 100 per cent. Worryingly, the virus is creeping steadily closer to the gorillas we’ve been working so long and so hard to protect. Every single poacher, miner, armed militiaman and even every local villager searching for food in the forest could pass on Ebola to the gorillas.If we can’t keep the gorillas safe from Ebola, it really could be the end for them. That’s why we need your help. Well-equipped teams of rangers can form a ‘human shield’ around the gorillas of Walikale, keeping the deadly disease away from them. We want to recruit 10 new rangers. These men could be the difference between life and death for the defenceless great apes. We also need to equip our rangers with special protective clothing and facemasks to protect them from Ebola and prevent them from spreading the disease in the forest. Finally, we need to ferry in supplies so that the rangers can stay in the heart of the forest where the gorillas need them for as long as they need them. 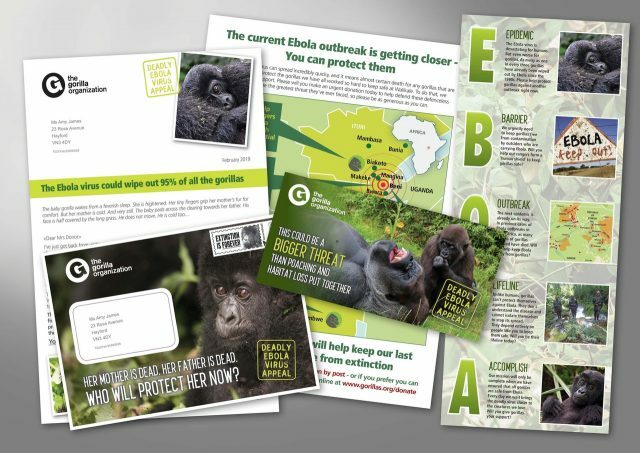 Donate today and help keep gorillas safe from Ebola. 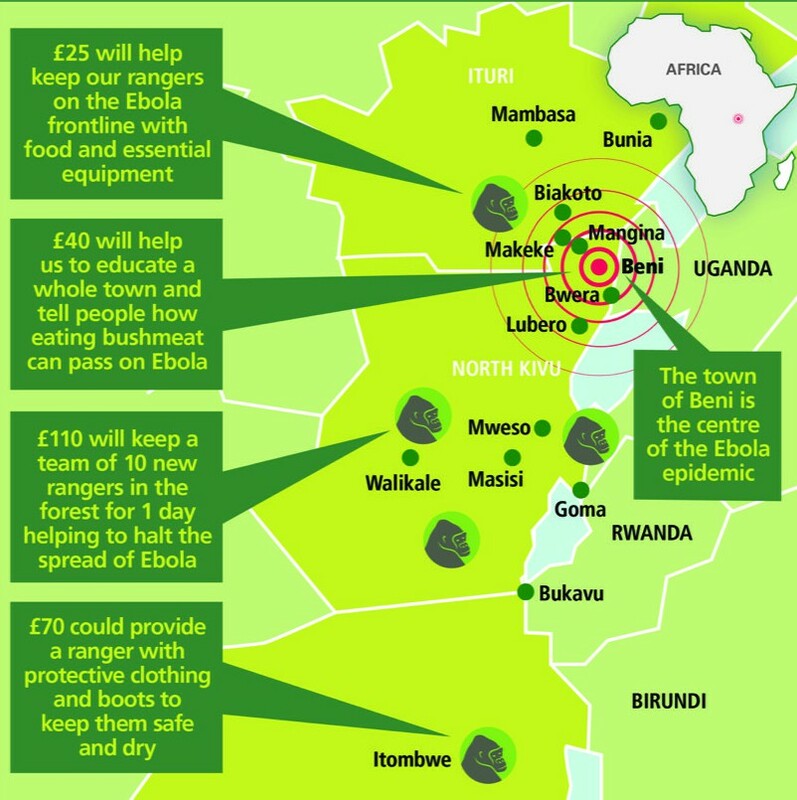 Every donation will help support the brave rangers shielding the gorillas from the deadly virus.